We’ve done everything we could to make all of our guides as easy and user friendly as possible. But, you may, of course still have some questions arise before or while using a guide. Below, you’ll find a few of the most frequently asked questions and their answers. Can’t find your specific question below? Then send an email to shop@fitgirlcode.com and we'll ensure that it's added to the list! How many weeks can I follow the Happy Healthy Guide for? The Happy Healthy Guide is a food guide of 12 weeks with recipes, grocery lists and food schedules with daily macros. The guide is separated into two parts: PART 1 LOSE WEIGHT & PART 2 MAINTENANCE. Every part lasts 6 weeks, so you’ll be kept busy for 12 weeks long. Why does the guide have two parts? We decided to go for this since we heard a lot of feedback from the community that they wanted more than just a guide that would help them to lose weight. They also wanted a guide that would help them to maintain their current weight after they lost the weight that they wanted to. So after the Fitgirlcode Guide and the Vegetarian Fitgirlcode Guide, we went straight to work on creating a guide that helps to both lose weight and maintain that new healthier weight. Can I follow the Happy Healthy Guide if all I want to do is lose weight? Certainly. The guide is separated into two parts: PART 1 LOSE WEIGHT and PART 2 MAINTENANCE. In Part 1, the caloric intake is a bit lower than in Part 2. Depending on your personal goal, you can decide to only follow Part 1, only follow Part 2, or, of course, follow the full 12 weeks. This guide helps you with weight loss and maintaining a healthy weight, in a responsible and healthy manner. Let it be clear that you’ll always be eating healthy and eating enough! Can I follow the Happy Healthy Guide if all I want to do is maintain my current weight? Yes. You can check out how the caloric intake found in the Happy Healthy Guide compares to your current intake. In Part 1, the caloric-intake is a bit lower than the second. You can choose for yourself if you’ll follow the intake as instructed in Part 1 or Part 2. What can I find in the Happy Healthy Guide? Just like all of our guides, the Happy Healthy Guide is incredibly extensive. You’ll find a grocery list for each week, easy instructions for preparing the recipes, photos of the recipes, and all the macronutrient information for each meal. That way, you don’t need to spend any time thinking about what you’re getting or missing in your diet. You’re also going to eat six times per day: breakfast, snack, lunch, snack, dinner and another snack. It seems like a very large amount of food per day, do I need to eat everything? We’d like to start by first saying we think it’s especially important that you eat enough each day to stay strong, especially if you workout on the side. Of course you don’t need to eat everything if it is really too much for you. Try following the recipes as is for a few days, and afterwards adjust it accordingly to your needs. Don’t forget that you need to adjust your diet based on what works best for you. About how many calories will I be eating, and is there a difference between Part 1 and Part 2? In PART 1 LOSE WEIGHT, the caloric-intake is about 1800kcal per day. The caloric-intake in the Happy Healthy Guide is a bit lower than normal since the Fitgirlcode Community requested a guide that would help them to lose weight. PART 2 MAINTENENCE has a bit of a higher intake, at around 2000 kcal. Is the Happy Healthy Guide vegetarian or vegan? No, in the Happy Healthy Guide, you’ll find recipes with dairy products, meat and fish. You can of course skip anything that you would rather not eat. The only thing you need to focus on is switching it with a meal where you will get around the same macros that day. Would you rather go for a vegetarian guide? 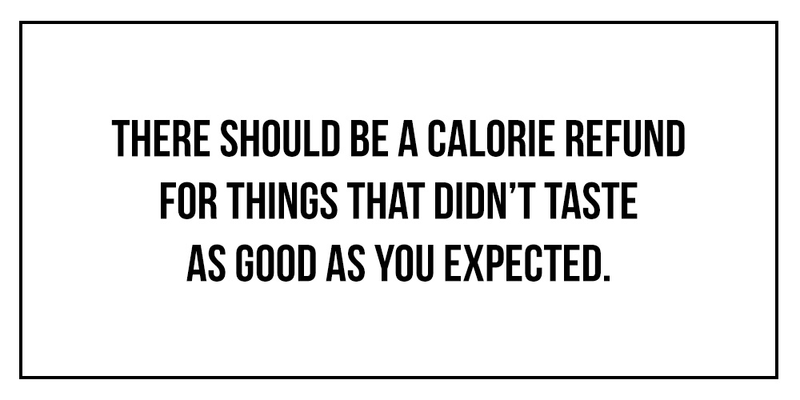 Then you can always try the Vegetarian Fitgirlcode Guide. This one contains 8 weeks of grocery lists, recipes and the corresponding macros. Is there a workout section in The Happy Healthy Guide? You won’t find any workouts in the Happy Healthy Guide, but the Fitgirlcode Body Guide fits perfectly with the Happy Healthy Guide. This guide includes six weeks of workouts, so you can combine the two with each other. I just bought this product, what now? Your files are now saved in your downloads folder. You can leave these there or place them in a folder where you can remember it easier. How can I put this product on my smartphone or tablet? The download link in the email isn’t working, what now? Ensure that your order has been properly completed. Your order is complete once you receive a payment confirmation via email. Did you not receive this confirmation? Then there was some error with your order, which is why your download link is not working. Did you receive the confirmation? Then send an email to shop@fitgirlcode.com with your order number. After we confirm your order, we can send you a new download link. I’ve downloaded the files twice but I’ve lost my files. What now? If this is the case, simply send an email to shop@fitgirlcode.com with your order number and we’ll be happy to send you a new download link. Downloading the files is not working for me. What now? If you are having difficulty with the downloads, send an email to shop@fitgirlcode.com and we’ll be happy to help you. How can I get in contact with other women who are also following this guide? We manage a closed group on Facebook with more than 1600 women who follow one or more of our guides. Here, the women are free to share anything they’d like to with each other, like tips, experiences, reviews and a whole lot more. We also regularly place updates here with exciting promotions, competitions and special discounts just for them. Your go to place for everything! Become a member and get in contact with our community. What will I find in the Fitgirlcode Guide? The Fitgirlcode Guide is a complete guide to give you all the tools you need to easily start your Fit Journey and also stick to it. In the Fitgirlcode Guide, you’ll find eight weeks worth of workout schedules, meaplans, weekly shopping lists, daily macronutrient information, mindfulness guidance, mindfulness audio exercises, more than 80 easy and healthy recipes and a Happiness Journal to track your progress. The guide is for eight weeks, but I only see four weeks of material? That’s correct, we kept it at four weeks and made it as comprehensive and balanced as possible so that after the fourth week, you can start over again. You are meant to repeat the four weeks once more. That way you can see what works for you in the first four weeks, and adjust accordingly in your second round. I want to buy the Fitgirlcode Guide, but I am a vegetarian. What now? Because we received a lot of feedback from the community that they would like to see a vegetaian version of the Fitgirlcode Guide, we went hard to work and created the Vegetarian Fitgirlcode Guide. This guide is also eight weeks long and completely vegetarian. I want to buy the Fitgirlcode Guide, but I am vegan. What now? The Vegetarian Fitgirlcode Guide makes use of dairy. You can, of course, replace the dairy products with what you think will fit, but we are not experts in the field of vegan eating, so this choice lies with you. There are women in our community that have done this, so it is not too difficult to make the guide vegan. How many calories will I be eating per day? The caloric intake is around 1800-2000 kcal per day. We can’t stress how important we think it is to ensure that you eat enough per day, especially if you workout everyday. We don’t believe in crash diets, but instead, taking good care of yourself. Can I use this guide and continue doing my normal workouts and runs? The trainings are complete for your entire body, so there is no need to exercise extra. However, if you still want to continue with Crossfit or keep up with jogging, you are free to do so. Keep in mind that you listen to your body, and that you give yourself at least one rest day per week if you’ll choose to exercise extra. If you’d like to increase the intensity of the workouts, you can do the workouts more regularly than prescribed in the guide. Why is there no warm up? You don’t need to warm up before doing these routines becuse you will naturally warm up once you start moving. You use your bodyweight during the exercises (no heavy weights or intensive cardio training). This way, your heart rate will naturally increase to the desired rate. Why is there no stretch routine? Won’t my muscles be painful the next day? Each of the routines stretches and trains your muscles at the same time. This is called dynamic stretches and ensures that you don’t need to stretch. If you still would like to increase your flexibility, you can always choose to perform some static stretches a few times per week. Will a 10 minute workout change my body? The exercises train your coordination, balance, strength ad endurance. They supply a very good basis for the start of a fitter life. Even if you’re advanced or even pro, these workouts will still challenge you. These exercises will optimize your strength and also your functional movements. Can I continue with this program after 8 weeks and still make progress? Yes. As time passes, you’ll get better and able to perform more repetitions of each exercise in the allotted 45 seconds. You can also choose to add weights or other equipment like Swiss balls to challenge yourself even more. I find it handier to have this guide in a book form. Is that available? Yes. The Fitgirlcode Guide is also available as a book. You can buy this here in our webshop. How can I play the audio files on my telephone? You can send the audio files via email or using Airdrop from your laptop/desktop to your iPhone or iPad. When you want to open the audio, you will automatically be given the “Dictafoon” option. With the Dictafoon application, you can easily find the audio files. If you don’t want to use the “Dictafoon” application, then you can listen to the audio files in your browser. You can send the files via email from your desktop/laptop to your smartphone or tablet. When you want to open the files, you’ll be automatically shown a number of application options. We recommend using “Google Play Muziek”. Once you open the audio files with this application, they will be automatically added to your library in the app. To open the files again, simply open “Google Play Music” and check “My Library”. Is you are having difficulty with the downloads, send an email to shop@fitgirlcode.com and we’ll be happy to help you. What will I find in the Vegetarian Fitgirlcode Guide? The Vegetarian Fitgirlcode Guide is a complete guide to give you all the tools you need to easily start your Fit Journey and also stick to it. In the Fitgirlcode Guide, you’ll find eight weeks worth of workout schedules, meaplans, weekly shopping lists, daily macronutrient information, mindfulness guidance, mindfulness audio exercises, more than 80 easy and healthy recipes and a Happiness Journal to track your progress. That’s correct, we kept it at four weeks and made i as comprehensive and balanced as possible so that after the fourth week, you can start over again. You are meant to repeat the four weeks once more. That way you can see what works for you in the first four weeks, and adjust accordingly in your second round. We’d like to start by first saying we think it’s especially important that you eat enough each day to stay strong, especially if you workout on the side. Of course you don’t need toe at everything if it is really too much for you. Try following the recipes as is for a few days, and afterwards adjust it accordingly to your needs. Don’t forget that you need to adjust your diet based on what works best for you. I want to follow the Vegetarian Fitgirlcode Guide, but I’m only interested in the food. Is this available? Yes of course! We’ve made a special version of this guide that only contains the food section. You can find this here. You don’t need to warm up before doing these routines because you will naturally warm up once you start moving. You use your bodyweight during the exercises (no heavy weights or intensive cardio training). This way, your heart rate will naturally increase to the desired rate. Each of the routines stretches and trains your muscles at the same time. This is called dynamic stretching and ensures that you don’t need to stretch. If you still would like to increase your flexibility, you can always choose to perform some static stretches a few times per week. Is you are having difficulty with the downloads, sen dan email to shop@fitgirlcode.com and we’ll be happy to help you. What will I find in the Sweet ’n Salty Recipes? The Sweet ’n Salty Recipes is a guide with more than 50 recipes with 25 sweet and 25 salty snacks that are both healthy and easy to prepare. In the guide,you’ll find recipes for different pies, cakes, (savory) muffins, dips, fresh bread and much more! In total, there are 25 sweet recipes and 25 salty ones.. and at the end of the guide, we've added 5 delicious recipes not based on how many calories they have, but based on how much you'll enjoy them! How do I know how much calories I’ll be getting if I buy the Sweet ‘n Salty Recipes? We’ve included the macronutrient information by each recipe. That way, you can easily integrate it into your eating schedule without having to calculate everything for yourself. I would like to buy the Sweet ‘n Salty Recipes, but I’m a vegan. What now? The recipes in the Sweet ‘n Salty Recipes make use of egg, quarck, yoghurt and different types of cheeses. You can naturally try to use dairy product alternatives that you think are suitable, but we are not experts in the field of vegan cuisine, so this choice is up to you. I’m not sure if I want to buy the Sweet’ n Salty Recipes. What now? If you’re not sure if you’d like to get the Sweet ‘n Salty Recipes, you can also get our try out version for just 2,50. You’ll find 10 recipes for sweet and salty snacks that are easy to make and also healthy. This short version is a small teaser of the complete Sweet ‘n Salty Recipes. All the recipes are easy to combine with all our guides, because we added the macros of each recipe. So you can immediately see if it fits in your schedule. You can find the try out version here. What can I find in the Fitgirlcode Vegan Guide? than enough healthy and delicious recipes. The Guide is for 8 weeks, but I can only see 4 weeks’ worth of material? well for you in the first 4 weeks and then you can adapt these in the next 4. Do I lose weight with this Guide? We did not make this Guide with the aim of losing weight, but instead to (learn) how to eat vegan. There are many healthy advantages to a vegan life and we make sure to highlight these in the Guide. How many kcal do I take in daily? Don’t I miss out on certain nutrients if I eat vegan? As long as you eat varied and enough you will get almost all nutrients through plant based eating. animal foods. It is for this reason that we pay close attention to them in the Guide. Do I take in enough protein with a vegan lifestyle? vegans don’t take in enough protein is nothing more than a fable. I often eat meat, fish, dairy and eggs. Can I simply switch to a vegan lifestyle? healthily and enough you won’t need to worry. habits. Listen to your body and start off with small changes if that suits you better. I don’t have a lot of time. Can I still follow this Guide? possibilities of food prepping, through which you can spare more time. Are there a lot of difficult/expensive ingredients in the Guide? and can thus re-use them the following week. I am lactose-intolerant/bad with dairy products. Can I follow this Guide? Yes! This Guide is vegan, so it does not contain any dairy products. I am allergic to gluten. Is this Guide fitting for me? Some of the recipes contain gluten. So you would have to replace these with gluten-free alternatives. Are there workouts in this Guide? No, this guide purely focuses on plant based eating. I find it handier to have this Guide in a book form, is this possible? No, the Fitgirlcode Vegan Guide is not available in hardcopy. in a folder where you can remember it easier. How can I put the product on my iPad or iPhone? With the Readdle app, you can search for and open all your files in your account. If you have Readdle already on your iPhone or iPad, it’s also possible to open it from within Drive. You can do this by clicking on the three dots next to the file and then by clicking “OPENEN IN”. You’ll see the different programs you can use to open this file, including Readdle. Open the Google Drive and/or Dropbox on your smartphone/tablet and open the e-book. with your order, which is why your download link is not working. number. After we confirm your order, we can send you a new download link. be happy to send you a new download link. everything! Become a member and get in contact with our community.